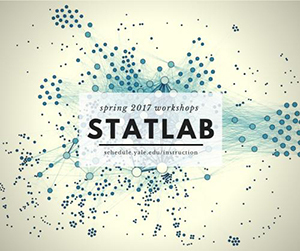 The StatLab has announced its spring workshop series, including sessions on Stata, R, SPSS, ArcGIS, Data Visualization, Python, Machine Learning, and more. All sessions convene on Fridays at CSSSI, in the lower level of the Kline Biology Tower (Prospect Street). Workshop descriptions and registration links are available on the CSSSI website. If you need help finding data, designing your empirical legal research project, navigating the IRB process, etc., please schedule an appointment with our Empirical Services & Assessment Librarian, Michelle Hudson (michelle.hudson@yale.edu). There are many resources at YLS and Yale to support your social science research – we’ll help you find them!